The Centre des Monuments Nationaux (CMN) is France’s biggest cultural and tourism operator. Its mission is to preserve cultural heritage and provide public access to 100 national historical monuments throughout France. 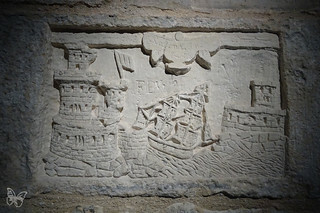 After having archived and documented graffiti on the national monuments as traces of history and archeology for decades, and referenced graffiti on thirty historical monuments, the CMN has decided to focus its 2018 cultural season on historical graffiti with a series of exhibitions and events called “Sur les murs, histoire(s) de graffiti“ on nine of its national monuments curated by Laure Pressac . 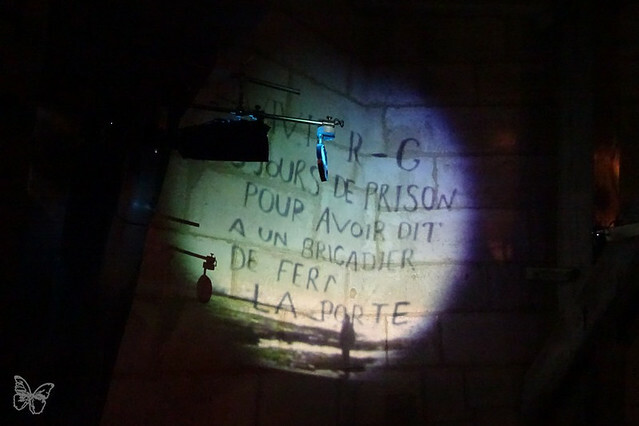 From 31 March to 25 June 2018 the historical sites of La Rochelle Towers present “Graffs on Tour(s)” with a focus on historical graffiti as well as artistic interventions by contemporary artists. 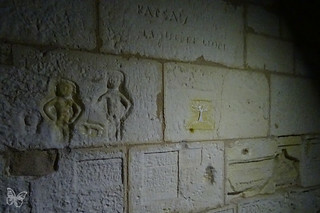 Over 600 graffiti have been recorded, engraved in the walls of the Rochelle Towers, as testimony of imprisoned sailors during the various wars. 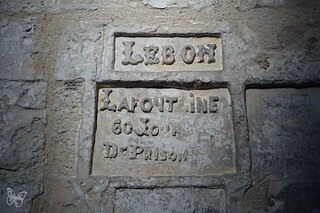 Following a month residency, internationally renowned graffiti duo Lek & Sowat (covered) have created a series of contemporary installations in the Saint Nicolas Tower and the city of La Rochelle, which we will focus on in more details shortly. 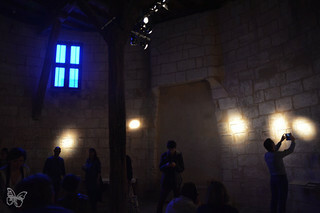 To kick start the cultural season with the Quinzaine du Numerique (QZN), five artists including Philippe Boisnard (FR), Vincent Dubois (FR), Collectif Impact (FR), Julia Masvernat (AR) and Julia Suero (AR), invaded the Lantern Tower by creating a transmedia journey with digital installations, visual mapping, videos, and sound installations. Through the ascending progression of the Lantern Tower, this transmedia path evokes the transition from figuration to abstraction as well as the transformation from analog material into digital material. Upon entering the tower, visitors are given a booklet and at each stage of the journey, the public can discover more about the architecture of the building, historical graffiti and artistic installations and interpretations of the QZN. 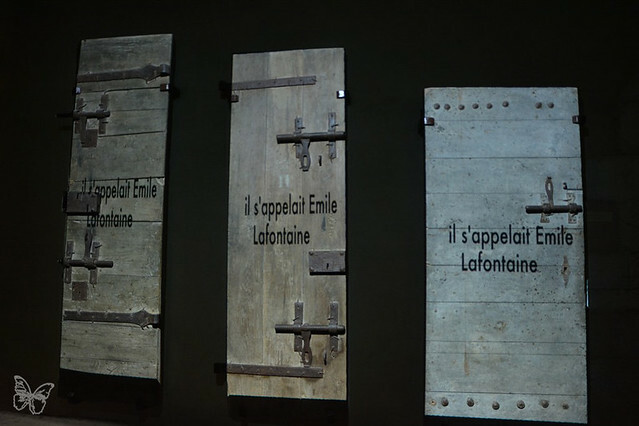 On the second floor, Collectif Impact highlights the most important graffiti (depending on their quality, size and state of conservation) with visual mapping on the prison doors, while a life-size projection features testimonies of the past left by sailors, pirates and prisoners. 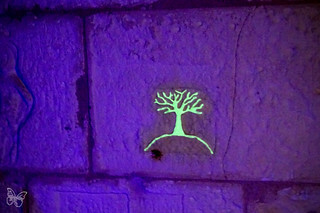 A dark room reveals invisible graffiti using black UV light. 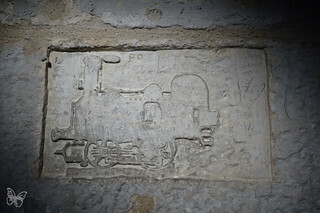 On the third floor, also nicknamed ‘dorm room’, graffiti are even more prolific. Through lighting effects, Vincent Dubois presents selected graffiti in a museum setting, with audio creations by Julia Suero for a full immersive experience. 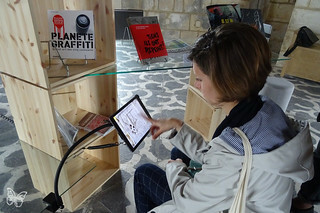 A room with interactive games and books let you discover more about the history of graffiti. 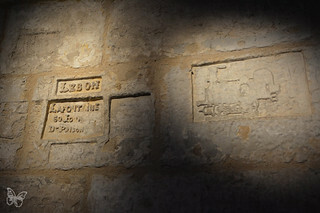 The fifth floor features the first dungeon of the nineteenth century. Artistic installations by Julia Masvernat and Julia Suero invite the viewers into an oniric journey with ‘Magic Lanterns’ . 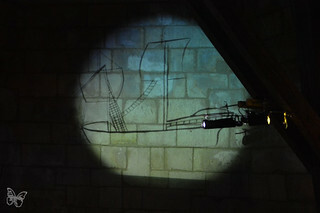 Through a projection, shadows reminiscent of historical graffiti evolve on the walls of the room. 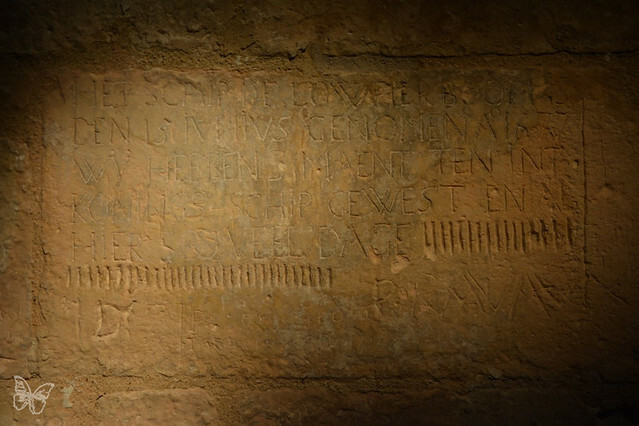 For many years the Lantern Tower was a place of confinement, and graffiti are traces left by these isolated and immured people. 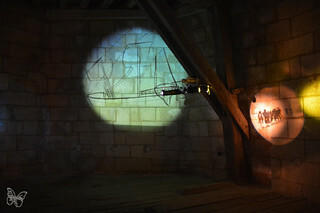 Philippe Boisnard ‘s installation is a 270 ° mapping on the sixth floor of the Lantern Tower, which poetically and graphically opens horizons through these walls. Each stone has been visually mapped and transformed into a new skyline, a distant desert, burning fire, depth underwater. 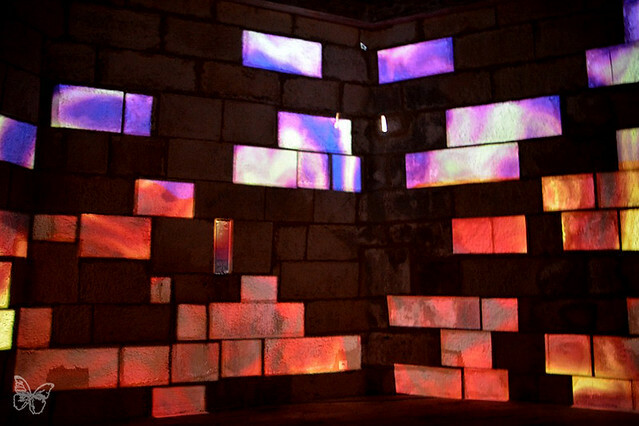 Through computer generated images, the prison walls disintegrate and show the viewers how imagination can go beyond confinement. This entry was posted in Shows, streets and tagged CMN, La Rochelle, Lek, QZN, Sowat. Bookmark the permalink.